is the actual workshop available anywhere in PDF ? Hi Clive, I’m in Northumberland near the border. I have managed to sort the problem, the rear coil had cracked and must have caused damage to the CDI ignition module, so I managed to get a pair of used coils and also a used ignition module, She fired straight up on both cylinders when I changed the. Thanks for your help. Morning Ernie, That’s great news…. Both have Forums where we can chat so it would be worth you joining (Great bunch of Shadow Owners on both Groups). If that is no good go to any of the Shadow Owners Clubs on Facebook & Post the Question or Try 1 of my Facebook Groups & again “Post A Question”. Thank you for your reply Clive, however I don’t use Facebook so I can’t access the groups. I will see if the aftermarket workshop manuals have the information I’m looking for. Where about’s are you ? 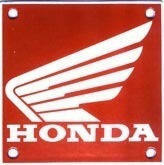 ….as there are Honda Shadow Forums you could join as your not on Facebook. What is the right way to measure oil level om vt125c, Hanging the dipstick on top om the hole, og skrew it in ?